The following is a guest post from Jennifer Amundsen of new i2Coalition member, Amundsen Law Firm, LLC. 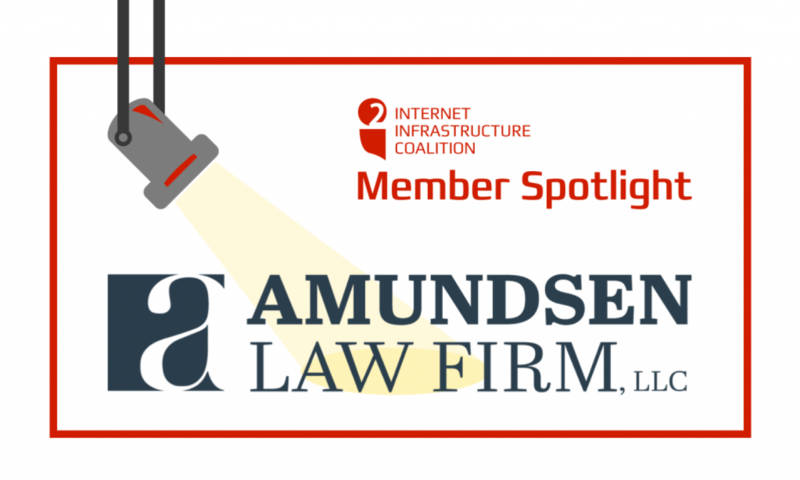 Amundsen Law helps information technology companies navigate legal challenges such as those relating to intellectual property, technology, and contractual relationships. Our work often takes place at the intersection of one or more of those areas. For example, we partner with a number of hosting company clients on intermediary liability and “abuse” issues, where intellectual property and technology meet on the Internet, which is a common problem for hosting company clients whose customers may be accused of copyright or trademark infringement. Being a sole practitioner means that every client gets personal service and the benefit of my interest and experience in the issues that we handle together. Another current example is helping information technology companies navigate the challenges posed by the new EU GDPR, which will require significant changes to the way many companies collect and store personal information, as well as changes in their Privacy Policies, their relationships with upstream and downstream contracting partners, and the contract documents governing those relationships. Having worked in intellectual property for over 20 years, I find legal issues relating to IP and technology to be endlessly fascinating. This fascination has driven my success as a lawyer for technology-centric clients and also makes the i2Coalition an ideal partner for my firm. Given how tech-driven our society has become in such a short time, the law has struggled to keep up. There is much work to be done to ensure that our laws and legal system are structured appropriately to serve us all in the next century. I’m looking forward to joining the i2Coalition Policy Working Group to help the i2Coalition bridge that gap.